A Commercial Learner's Permit (CLP) is a permit which when carried with a Class O license authorizes an individual to operate a class of commercial motor vehicle when accompanied by a holder of a valid Commercial Driver's License (CDL) for purposes of behind-the-wheel training. A Commercial Learner’s Permit (CLP) is valid for 180 days. The issuance of a CLP is a precondition to the initial issuance of a CDL. The issuance of a CLP is also a precondition to the upgrade of a Commercial Driver's License (CDL) if the upgrade requires a skills test. An applicant shall successfully complete all applicable written tests for the class and endorsements of CLP applied for. A CLP may be renewed once before all applicable written tests must be retaken. 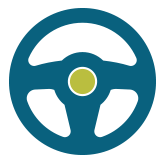 You may request a replacement/renewal in person at any Driver Licensing Office. You will need to present primary identification. If you need to update your address, you will need to present two forms of address verification. Applicants applying for Commercial Learner’s Permits (CLPs) and Commercial Driver’s Licenses (CDLs) are required to provide proof of U.S. citizenship or lawful status. When applying for a CLP or CDL, individuals will be required to certify to the DMV what type of operation they engage in (see CDL Self Certification Chart). In addition, if certifying as Category A: Interstate – Non-Excepted, drivers are required to provide the DMV with a current copy of their medical examiner’s certificate (card – not long form) and keep it current with the DMV. In order to take skills tests for a CDL, drivers must first have a CLP and hold it for at least 14 days. If a CLP expires and all three segments (pre-trip vehicle inspection, basic controls skills and road test) of the skills test have not been passed, any skills tests previously passed are invalid and ALL skills testing must be retaken. CLPs will have a class and may have endorsements and restrictions. 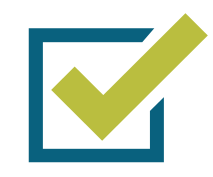 CLPs require all applicable written tests be passed as a condition of issuance. 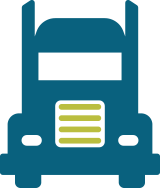 *See descriptions of Commercial Motor Vehicle Classes, Endorsements and Restrictions.